It feels like we’ve been starting off a number of our articles with “we at Silke are proud of many things” as of late. That can only be a good thing, mind; it means we’re adhering to our personal philosophy of providing top quality, ultra modern kitchens to the masses. 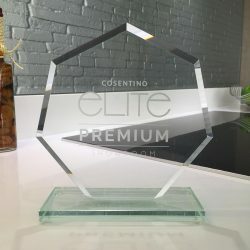 And indeed, we have once again had our dedication to excellence officially recognised; we’ve been officially recognised as London’s sole Elite Premium Showroom! We’ve covered Silestone before in these articles, but we’d be only too happy to give you a little refresher. Silestone is a product offered by Cosentino, and is a compound made up of 94% natural Quartz. It is primarily used in most kitchen settings- including the ones in our showroom and offered on our site- as a kitchen worktop, due to its extremely hardy and resilient nature. It’s easily the premium hardtop counter material on the market, although given it is highly resistant to scratch damage, stain damage, even heat damage, that’s to be expected. In addition, Silestone worktops are non-porous surfaces, they come in a range of elegant colours, and they’re actively resistant to bacteria- the only Quartz worktops on the market to be so, at that. Add in the 10yr warranty guarantee, and it’s a no-brainer; this stuff is a must-have for your kitchen! What does becoming an Elite Premium mean for us, and consequently, you as a customer? Well, as previously alluded to, it means that the worktops on view at our showroom are all Cosentino-made hardtop counters. In addition, having Elite Premium Showroom status means we are privy to all the latest styles and colours ahead of anyone else, on the high street or otherwise. Not just Silestone either, we also stock Dekton and Sensa giving a fully complete offering. It’s a privilege we wear with pride; we were granted this prestigious honour by standing by our principals as quality kitchen wholesalers, and we intend to continue working hard and providing the service that earned us this status in the first place!